Copper Creek draws inspiration from the mining and railroad history of the Pacific Northwest. Here, Guests will enjoy rustic elegance at a calming retreat on the shores of Bay Lake. 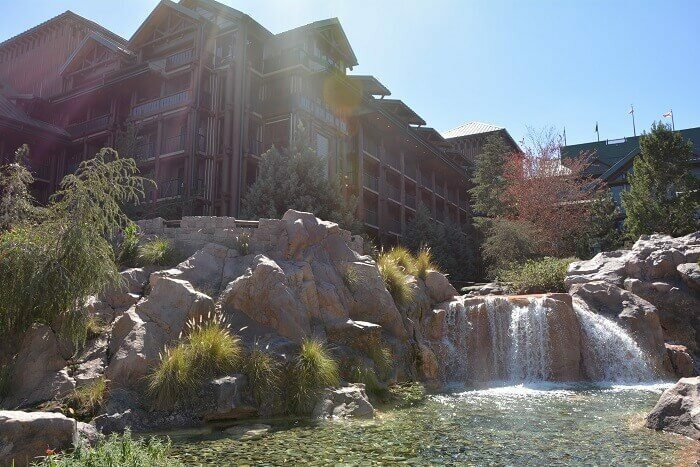 The resort includes not only the traditional DVC room types such as studios, 1-bedrooms, 2-bedrooms and Grand Villas, but waterfront cabins as well. Guests can enjoy the easygoing Boulder Ridge Cove Pool or the playful Copper Creek Springs Pool, complete with hot and cold whirlpool spas and a 67-foot waterslide built into rocks. Additionally, the Copper Creek resort is only a short boat ride from Disney's Magic Kingdom. For more information, please see, Guide to Copper Creek Villas & Cabins at Disney's Wilderness Lodge. One queen-size bed & one queen-size sleeper sofa. Kitchenette. Full bath with tub/shower or walk-in shower. One king-size bed & one queen-size sleeper sofa. Full kitchen. Washer/dryer. Full bathroom with whirlpool tub and walk-in shower. One king-size bed, two queen-size beds and one queen-size sleeper sofa. Full kitchen. Washer/dryer. Two full bathrooms – one with whirlpool tub and shower, one with shower only. One king-size bed, one queen-size bed and two queen-size sleeper sofas. Full kitchen. Washer/dryer. Two full bathrooms – one with whirlpool tub and shower, one with combination tub/shower or walk-in shower. One king-size bed, four queen-size beds and one queen-size sleeper sofa. Fully equipped kitchen. Laundry room with washer and dryer. Three bathrooms – one with whirlpool tub and shower, two with shower only. One king-size bed, one queen-size bed, one queen-size sleeper sofa, one pull-down bunk-size bed and one sleeper chair. Two bathrooms—one with walk-in shower and bubble-jet tub and the other with walk-in shower. Fully equipped kitchen. Laundry room with washer & dryer. Private deck with hot-tub and double-sided fireplace.